Join us in the night market by the beach for a night of food extravaganza. Treat yourself to the favorite specialties in market-style food stalls such as Bakso and Satay, grilled Babi Guling, Ayam Betutu, Martabak and freshly caught seafood BBQ in live cooking stalls. Immerse in a true essence of Balinese evening and cool breeze of the ocean. IDR 500,000++ per person (including indigenous welcome cocktail). 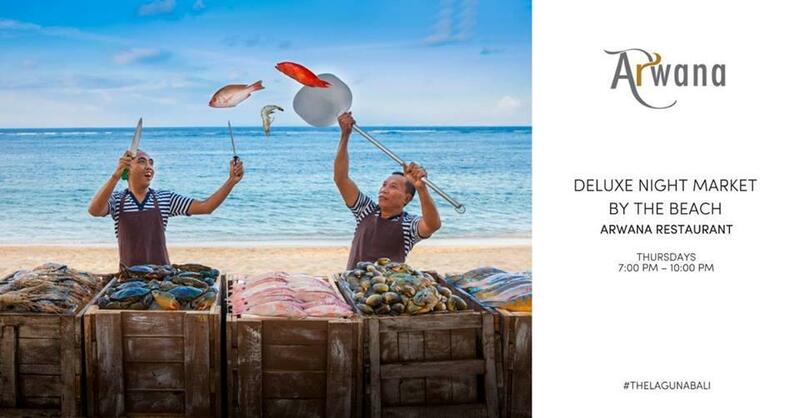 Visit our website to reserve: http://www.arwanarestaurant.com/night-market-by-the-beach or kindly call +62 361 300 5635 or email us fb.reservations@luxurycollection.com.